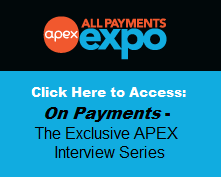 All Payments Expo Blog: How will the CARD Act impact the prepaid industry? 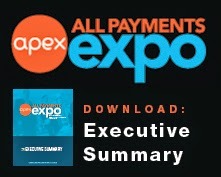 How will the CARD Act impact the prepaid industry? Recently, the prepaid industry has been under heavy scrutiny and with the addition of the Credit Card Accountability, Responsibility and Disclosure Act going into effect on February 22, 2010 even more provisions will apply to gift certificates, store gift cards and general-use prepaid cards. This article from Bankrate.com highlights how expiration and inactivity fees, for example, will be very limited. Customers can not incur inactivity fees on gift cards unless they go unused for a period of over 12 months. There are however, certain fees that the CARD Act does not protect from like upfront issuance and sales fees. One aspect of fees that the CARD Act is particularly aiming to eliminate is expiration fees. The ACT demands that cards not expire for 5 years after its issuance; many gift cards at this time expire after 1 or 2 years. What sort of changes do you foresee in the prepaid industry with these new provisions going into effect early next year? Speakers at the Prepaid Expo USA 2010 will go more in depth into some of the legal and regulatory issues tackling the prepaid industry today. We have devoted an entire day to sifting through the details and helping you understand how the CARD Act will affect your business. Remember, if you’re planning to attend the Prepaid Expo USA event in Vegas this February make sure to mention code XU2348LinkedIn1 for a 10% discount off the prevailing conference rate. Hope to see you there! NEW Special group pricing available this week only! Make sure to take advantage of this great offer. Need more time for private meetings at the Expo? Contact our all new Prepaid Expo USA Meeting Concierge. If you are interested in Prepaid Meeting Concierge Services, please call +1.646.616.7605 or email us at PrepaidConcierge@prepaidexpousa.com to reserve your meeting space!